At the end of the day, the game of golf isn't about winning or losing, but how you enjoy the game! Enjoy it with your favorite 12 oz. 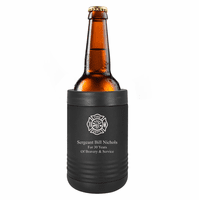 canned or bottled beverage, locked securely in this classy black stainless steel holder with removable top. It has double-wall insulation that provides 2x the heat/cold retention of plastic koozies. 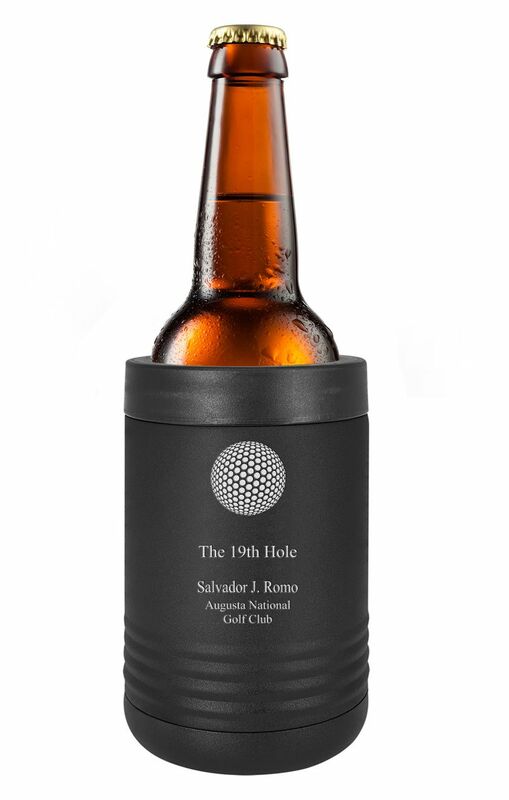 The front is engraved with the words "The 19th Hole", with room below for up to 6 lines of free engraved text. 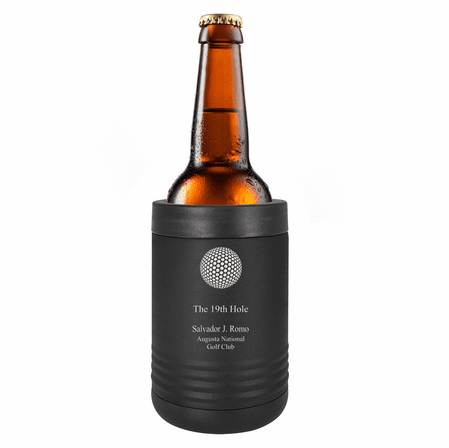 The beverage holder comes packaged in a gift box.